Surprising a friend or relative with a cool gift idea that they’ve never received before or haven’t even thought of is a special moment that most of us enjoy experiencing. Surprisingly, we sometimes feel happier giving gifts than receiving them. Putting a smile on someone’s face is one of the best feelings and is worth the effort! Regardless of whether there is a special occasion such as a friend’s birthday, anniversary, wedding, or maybe Christmas or Thanksgiving, choosing gifts is a fun but sometimes difficult task. To make our close ones feel special there is a lot of thought-involving processes, brainstorming, and pre-planning before the actual shopping takes place. After all, the idea is to select the best, most personal and unique gift that will certainly leave a sense of happiness and excitement and will not be forgotten soon. To make the holidays a more blissful and joyful time, we’ve prepared some tips on choosing the best gift. We’ve also chosen a few gift ideas for something as niche as Minecraft lovers. 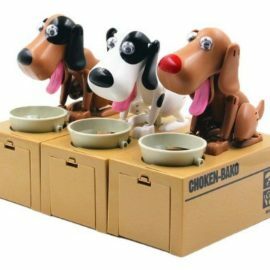 With Christmas coming around, these unique ideas will make gift shopping a heavenly experience, especially if you have friends or relatives who are really into this mind-blowing game. For starters, let’s look at what makes a truly unique and special gift and where to start. Even if you think you know someone better than yourself, you will find that often, choosing the right gift turns out to be a complex and time-consuming process if you have failed to prepare well. Before leaving for the shopping mall or looking online, spend some time brainstorming and making a wish list for the person you will be surprised. Think about his hobbies, interests, and personality. In the case of Minecraft fans, try to remember if they have already bought something related to the game or whether they have personalized any of their possessions to include the Minecraft logo, characters, or anything else. When listing down ideas, try to focus on things that are truly exclusive and special to the person. From experience, you will find that a gift doesn’t necessarily have to be extremely expensive in order to make someone feel happy and experience positive emotions. Rather, gifts that are associated with positive memories, their favorite activities, or a moment that you have shared together will work the magic. The cherry on the cake is adding something personally from you to the gift, giving it an additional touch that will show that you have thought about the gift and its importance to the person. For example, add a tailored message on the gift or on a separate card that will make the person laugh or remember a special time. 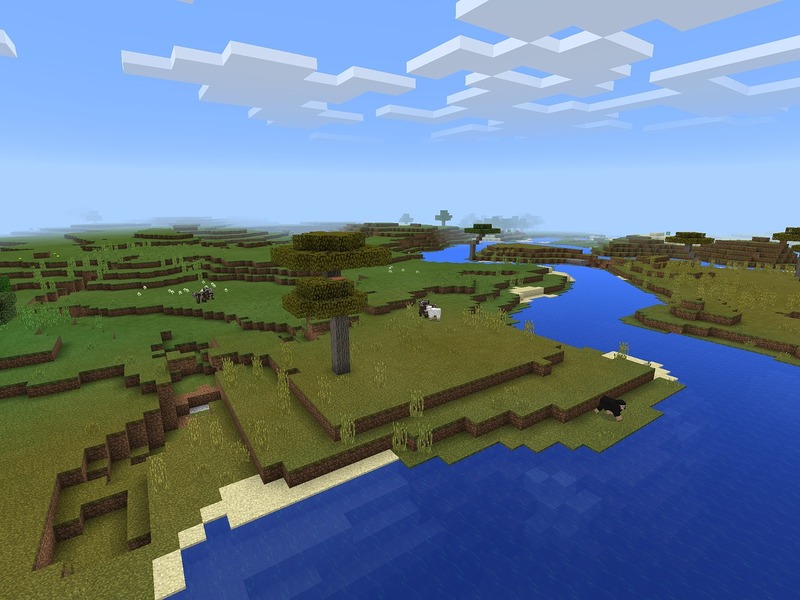 Minecraft is a sandbox construction game, which puts players in a fictional world and gives them the task of breaking different types of blocks in a three-dimensional environment. The game is extremely consuming and attractive to a diverse range of age groups as it is highly engaging and allows the players to create a whole new world of inventory, armory, relations with other players, and more. If you know someone who is interested in Minecraft and has spent a decent amount of hours playing the game then you will certainly make the right move in choosing a unique Minecraft gift that will show them that you have remembered what their hobby is. Even better, if you have played Minecraft with your best friend, surprising them with a Minecraft gift for Christmas will make their day even better and the gift will be there to remind them of those amazing moments you have shared while in the game! As true fans of Minecraft, we’ve done our research and have created a cool list of Minecraft gift ideas, especially for the true fans out there. We hope that readers and Minecraft enthusiasts find this list useful and it serves as a motive for even more unique ideas arising! What’s unique about Minecraft is the pixel design of different parts of the game. To simulate objects from that environment, toy and gift manufacturers have created pixel objects that can be used as amazing gift ideas for your friends. For example, choose the Minecraft Pixel Sunglasses to add to the fluffy Santa Claus that you have bought as a gift for Christmas. This will certainly add more edge to your gift! Now, this is next level cool as a gift for any occasion! 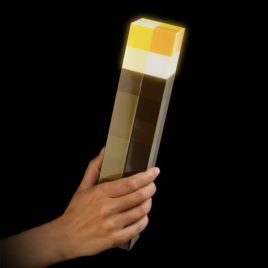 The Minecraft Torch can be used in real life and can be placed on a wall or held in hand. It can also be placed on a table or by the bed to keep away Zombies and make you feel comfortable and safe. It’s also worth noting that it’s easier and quicker to buy a Minecraft Torch than to craft it. The LED Torch can also be mounted on glass or in a pumpkin. Creativity is endless so feel free to explore any personalized options that may come to mind. Yes, this actually exists and it’s a brilliant gift idea! The sets will vary depending on where you purchase them but they include around 90 pieces that allow you to exit the video gaming world and enter a real-life land of Minecraft in your house! The set includes easy-to-build Minecraft themed items that let you be the builder of the setting and environment. What a cool way to surprise the Minecraft fans out there! Imagine surprising your Minecraft lover friend with a colorful Minecraft bedding for their birthday! To make things more interesting, try arranging the sheets in your friend’s bedroom before they get home to make the surprise even better! Of course, this would not be possible in all cases as you must consider the person’s privacy. If possible, ask their family members or roommates to help with the arrangements. The Minecraft card game is a brilliant product that allows players to fully re-create the action, adventure, and fun from the video game by using cards. Using the cards, players are tasked to mine, craft, and reserve in order to win the game. This is a great way of getting your Minecraft friends together and playing an engaging game, sharing the joyful moments. A gift like this will also show your close ones your desire to spend more time with them, adding on to the feeling of being special, not only on the day of their birthday or on Christmas. There is a range of different characters and objects illustrated on plush pillows, keeping the pixel idea flowing. This is an especially cool gift idea for a female, who is a fan of Minecraft and likes to spice things up in the living room or bedroom, using Minecraft themed objects. An absolutely unique and personal gift always includes some interesting stories between you and the person who will receive the gift, pictures from special moments, and tailored messages. Using Minecraft Stickers and other imagery, try crafting your own Minecraft storybook that will include different pages including photos, messages or letters, and anything else that you think will fix it. You could add some touch to the gift by creating a mesmerizing cover of the storybook by personally drawing it or using pre-made wallpaper to depict the pixel-looking characters from Minecraft. The storybook can be given completely finished or half-finished, leaving room for the receiver to show their own creativity and complete the remaining pages with their own interpretation. Another cool Minecraft gift idea is putting your friend’s favorite picture in a special Minecraft photo frame that they can hang on the wall in their home. You can purchase a pre-made photo frame or add individuality to the gift by making your own! You could use a wooden surface and check out relevant DIY projects for inserting special imagery to the wood to make it Minecraft-themed and personalized for the Minecraft lover. The typical for the video game light-up diamond can be with your friends at all times, real-life! A gift like this is suitable both for younger kids, ages 6 and over, as well as for teenagers and adults who are intrigued by the world of Minecraft. The light-up diamond can be used as a mini bedside lamp to bring in more comfort and a sensation of relaxation in the bedroom. Choose your friend’s favorite color and order a tailor-made, block-patterned hoodie. This gift can be especially useful for the cold winter nights spent in front of the computer, playing Minecraft for hours. 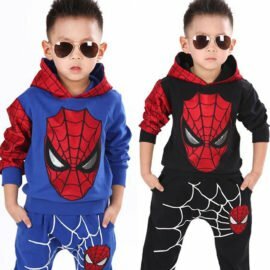 The hoodie can also include some of the most popular Minecraft characters, special items, or anything else that will remind a Minecraft fan of the inspirational parts of the game. The same can be arranged for a pajama or a onesie, depending on the receivers preferences and personal style. Research online for any available Minecraft Creeper backpacks that your friends can wear to school, take on a trip or go mountain hiking with. The true Minecraft fan will certainly appreciate the uniqueness of this gift and could use it to store all his Minecraft collectibles or other valuable items. Ordering a Minecraft cake can be a fun experience as it allows you to tailor the cake with any imagery that you feel is suitable. 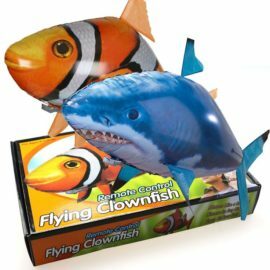 Especially if you are deciding on a gift for a birthday party or any other event, preparing the cake and balloon surprise can also be a cool gift idea. Surprise your friend at work with a Minecraft cake and make them remember the day with a smile on their face! Stepping outside the list of Minecraft gift ideas, we’d like to share a cool approach to your Minecraft gifts. You could establish a true bond with the receiver of the gift by starting a ritual, surprising them with different Minecraft-themed gifts for different occasions or for no occasion at all. You could research different Minecraft collectibles and continue surprising your friends with new items of the collection. This list can be used as inspiration for any other video game or niche hobby or activity. The main concept behind the listed gift ideas is incorporating your close ones’ passions and hobbies into the gifts that you choose in order to make them feel understood, special, and appreciated. 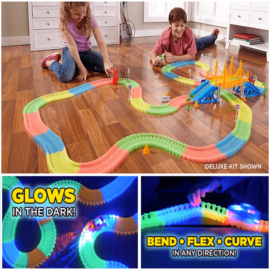 Celebrate the holidays with these cool gifts and create moments that will last!